God's many biblical names tell us much about Him—and here are brief sketches of the ninety-nine most beloved biblical names of God—from Abba to Redeemer and Everlasting Father to Spirit of Truth. Each title is broken down into an appealing, concise, and thought-provoking format that reveals and glorifies every facet of God’s personality through modern biblical insight and inspirational takeaways that readers of any age will enjoy. 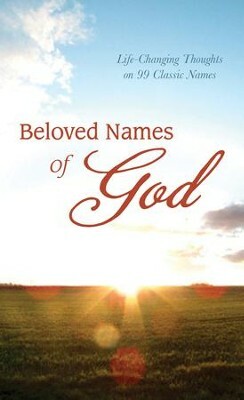 Ideal for personal reading or group study, The Beloved Names of God is a must-have inspirational resource. I'm the author/artist and I want to review Beloved Names of God: Life-Changing Thoughts on 99 Classic Names - eBook.